A sunny start to this Thursday morning for Team McGladrey Member Zach Johnson who is playing in the Tampa Bay Championship. If you plan on watching, Zach is part of group 46 and tees off at 1:30 p.m., ET. Best of luck to Zach! Next week, he’ll remain in Florida but travel to Orlando where he’ll play in the 2013 Arnold Palmer Invitational. You can bet we’ll be following him on the course! At last week’s Cadillac Championship, Zach made an AMAZING shot we had to highlight here for our readers! In the second round, he made a 160-yard eagle! IMPRESSIVE! We’d love to see a few more of those out on the course in Florida, Zach! Zach is also in the news for his decision to play in the Ballentine’s Championship in South Korea this May. He is the only American from the top 50 in the world ranking who has not played overseas in the past two years. As excited as we are here at McGladrey for Zach to have this opportunity, our McGladrey team in Charlotte is sad that he’ll miss the Wells Fargo Championship, which will be held in their hometown. In beautiful Sea Island, home of The McGladrey Classic, Team McGladrey Member Davis Love III is in “full swing” one month following neck surgery. Crowne Sports Management posted this video of Davis out on the green. His swing is looking pretty good to us! What do YOU think? And last but certainly not least, Team McGladrey Member Chris DiMarco joined John Brown earlier this week at Fox 35 for a newsroom putting contest. Check out the video to enjoy the friendly competition and get to see Chris off the (real) course. 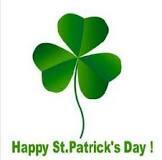 On a side note, we’d like to wish our readers a happy and safe St. Patrick’s Day this coming weekend! What are your plans to celebrate? We might not be WEARING green, but we hope to be ON the green! For more updates on Team McGladrey and the 2013 McGladrey Classic (Nov. 4-10), be sure to check back in next week.